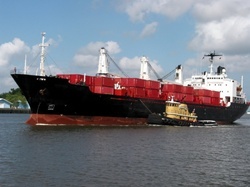 Boat Shipping: 3 step process, costs and key tips. Shipping a boat to New Zealand? Shipping a boat from New Zealand? For over 20 years McCullough has invested their expertise and heart into making boat shipping for you as simple as 1-2-3. We’ll ship, Customs and MAF clear your car for you anytime, anywhere. Get your free quote now. It’s that simple. 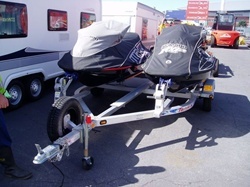 Ensure that you pack the boat up as small as possible (as cost of freight is worked out on cubic measurement – it can save you thousands of dollars). a. Your boat can be lifted out at a nearby marina and trucked to the port if your boat is packed low enough to be transported on the road. Ensure your boat has less than a quarter of fuel in tank (it won’t be shipped with more). Ensure that you’ve removed any fire extinguisher/s (it won’t be shipped with any). Ensure that you thoroughly clean inside and out, paying particular attention to the hull and trailer or cradle of your boat. a. 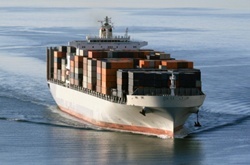 Where possible – try to avoid inner cargo as it increases cost and clearance time. a. Either hide them in your boat or courier them to your delivery point. a. Take close up photos of every side of your boat – internal and external.